Whether you reside in Australia or are planning a trip down under for the near future, we are absolutely sure that you’ll want to go hiking and see this vast, varied and beautiful country by foot. Walking in Australia means tackling some of the worlds most intense climates and dangerous animals, but will take you through scenery that will leave you absolutely speechless. With some careful consideration we have whittled down our favourite five spots to go walking in Australia and we hope that you enjoy them. 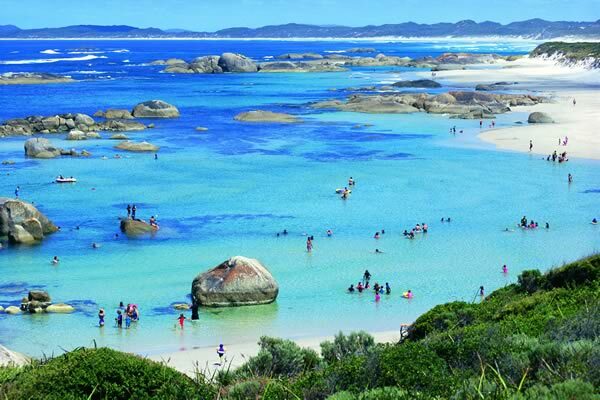 The Cape to Cape Track runs for 135 kilometres along the Leeuwin-Naturaliste Ridge, between the lighthouses of Cape Naturaliste and Cape Leeuwin in the far south west of Western Australia. If you’ve imagined Australian beaches in your mind but have never been lucky enough to visit then this really will be the stuff that day dreams of walking in Australia are made it. 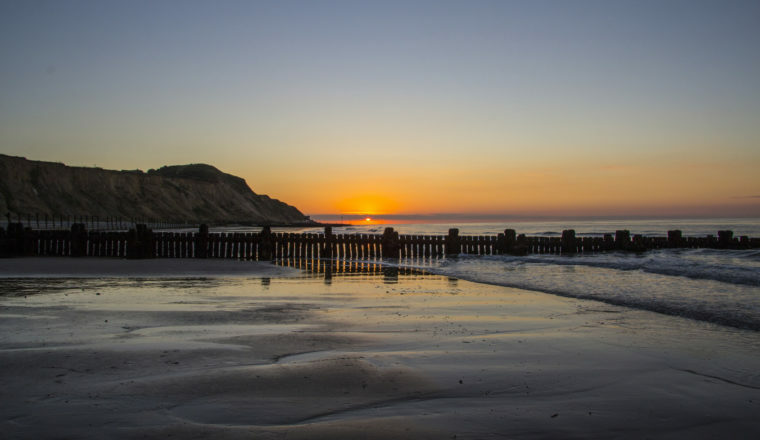 The track features spectacular coastal and forest scenery, cliffs, caves, headlands and rock formations and ever-changing vegetation and wildflowers. The walking path varies from old vehicle tracks and constructed pathways to rough, stony paths and sandy beaches. You can pick sections to walk in a half or full day or choose to tackle the whole track which is challenging but definitely worth your efforts. Allow five to seven days to walk the whole route. 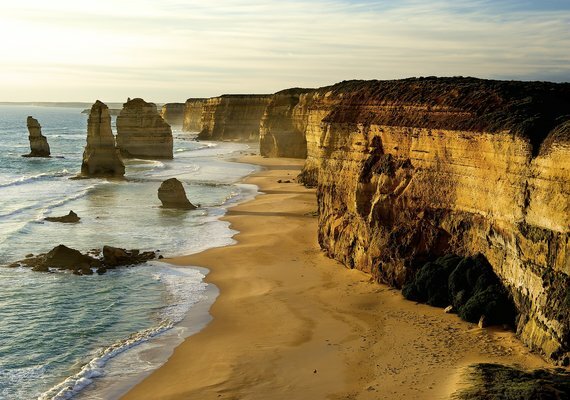 If you go walking in Australia you simply cannot overlook the magnificent Twelve Apostles, with its iconic example of dramatic coastal scenery, rocky cliff faces and vast stretches of open beach, it is easily one of the most beautiful walks in the country. 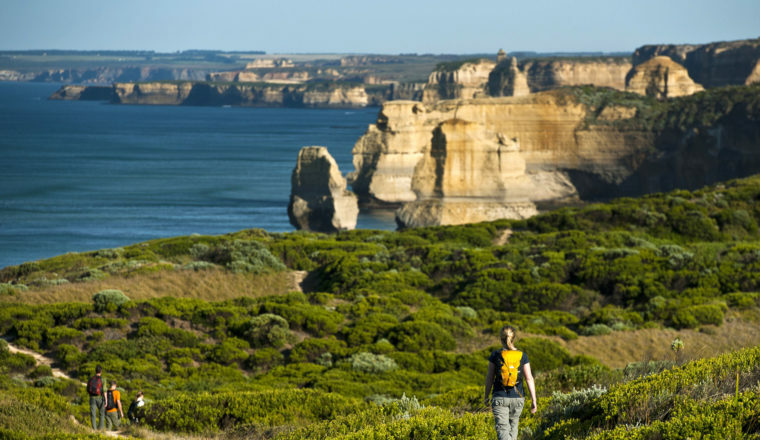 Spread out over 100km, the walk takes you past some of Australia’s tallest coastal cliffs, the remnants of various historical shipwrecks and expansive stretches of uninhabited beach. If you choose to take the full hike you’ll need to allow around eight days from the starting point of Apollo Bay to the end of the track at Glenample Homestead where the 12 Apostles lie. Keep in mind that there is a whole lot of beach walking on this route which is HARD WORK! There are seven campsites spread throughout the track that serve as marker points for the end of each day, but don’t forget to book ahead as they can get quite busy and if you don’t fancy camping then head for one of the towns that you’ll pass along the way for more accommodation options. This truly unique adventure starts in the foothills of South East Queensland’s Main Range National Park which is full of mountains, ridges, escarpments, forests and ancient volcanic plateaus and heads into parkland, state forests and national parks. The peace and quiet in this area is sublime, and as you walk through a forest to only the song of native birds you’ll soon notice this. Walking in Australia on the Scenic Rim will involve rambles along rough creek-lines in valleys and through pleasant open woodland, scaling summits with stupendous views and creeping through dark, World Heritage-listed hoop-pine forests, oh and look out for those Wallaby’s! 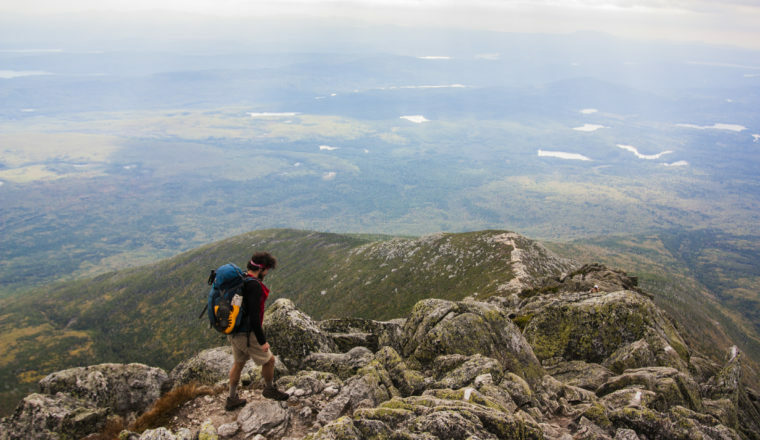 The route is easy in some parts and difficult in others and a good level of fitness is needed to complete the trail. The Arkaba Walk takes around four days and is a real outback experience without having to go far north to find it. From dry creek beds and isolated waterholes to craggy ridge lines and rolling hills covered in cypress pines, the scenery is simply beautiful and the effects that millions of years worth of erosion and topographic change can have on a landscape is certainly exemplified by the terrain of the vast Flinders Ranges. While walking in Australia on the Arkaba Walk you’ll experience the sheer scale and open spaces of the Australian outback. The backdrop of the rocky Elder Range and Wilpena Pound in the distance makes for an impressive view. Look out for the abundant array of native mammals and birds along the way, plus the Aboriginal rock art by the indigenous Australians who once inhabited the land. Home to just 500,000 people, the island of Tasmania is as intimate as it is beautiful. 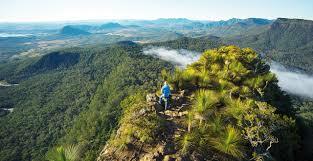 And if you do come walking in Australia then pop it on your wish list. Hop on a flight out of any of Australia’s major cities and you’ll find yourself in this beautiful part of the world. 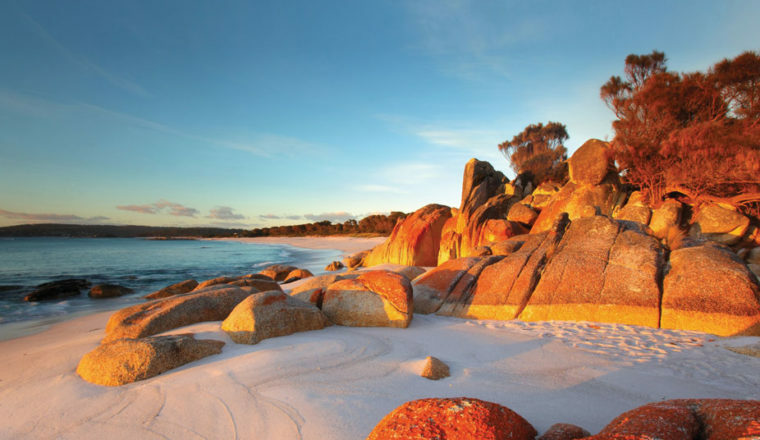 Our favourite walk here is the Bay of Fires, situated at the edge of Mount William National Park in north-eastern Tasmania, the magnificent coastline known as the Bay of Fires provides dramatic landscapes, ecology, and wildlife. 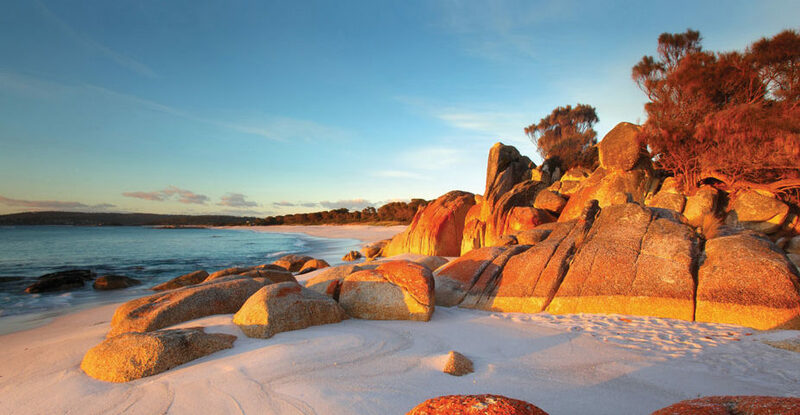 This coastal stretch of azure water and rocky headlands, with boulders dotted offshore looks completely untouched and is just beautiful, you’ll pass wonderful coastal scenery and huge, empty white sand beaches that really are some of the most beautiful in the world. There are companies in the area that will offer walking tours, usually around four days and there are some beautiful luxury lodges too if you fancy treating yourself.